Happy Holidays! 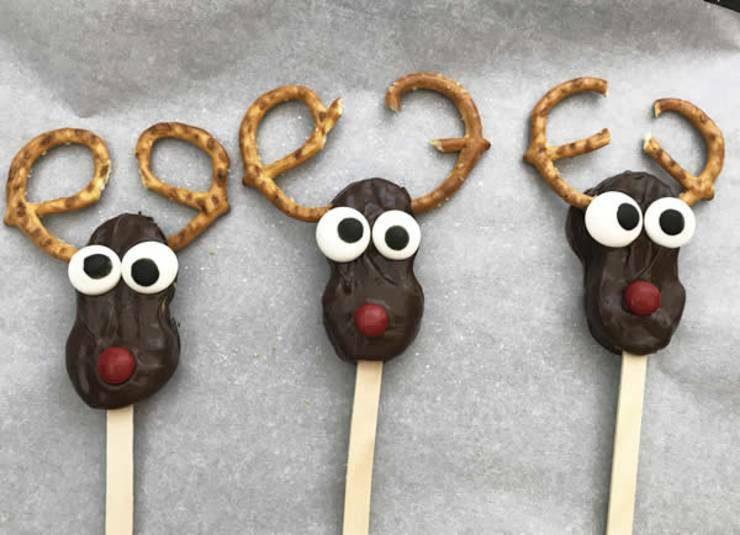 Ready for the BEST reindeer cookies? 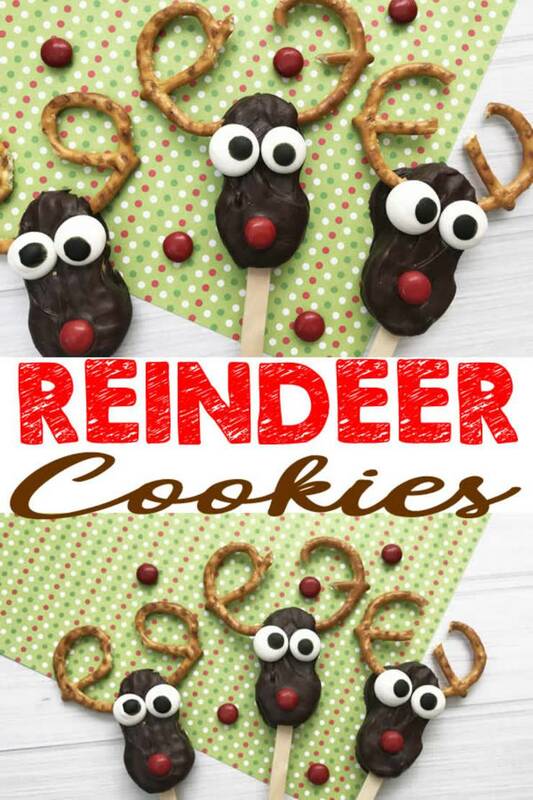 An EASY reindeer cookie idea that will have you in and out of the kitchen in no time at all. These cute little Rudolph The Red Nosed Reindeer cookies will be loved by all. Who doesn’t love chocolate and peanut butter? 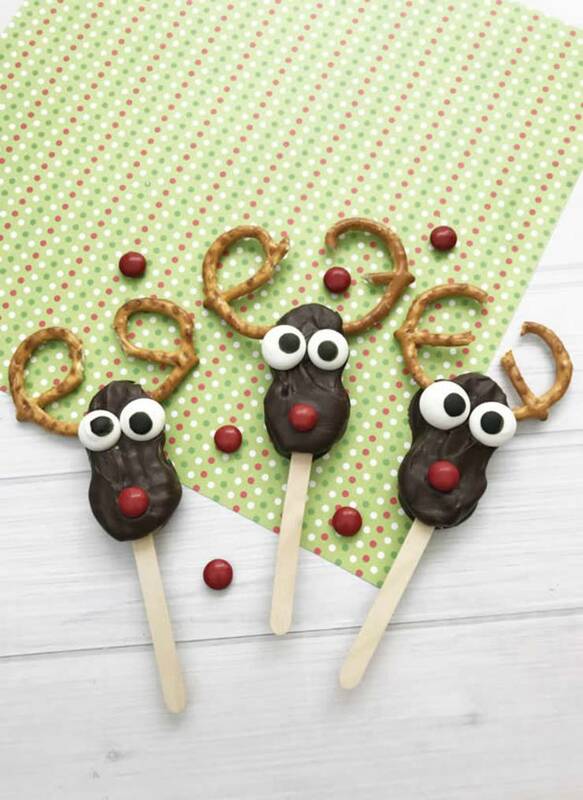 That’s exactly what these delicious Christmas cookies are – Chocolate dipped Nutter Butter cookies decorated to look like a reindeer. These are great snacks, dessert idea or treat. They make great Holiday cookies for a Christmas party, classroom party or school party. 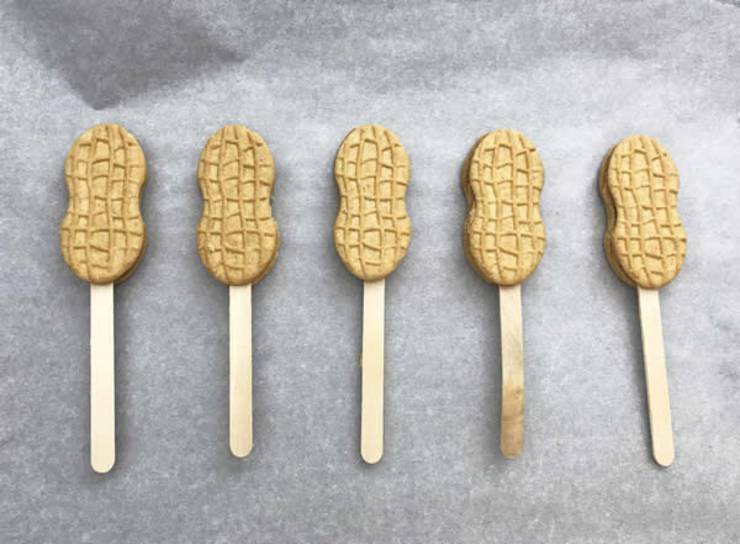 Cute treats that kids, teens, tweens and adults will love. How fun would these Christmas cookies be to leave out for Santa on Christmas Eve? Make your Christmas Baking extra special with these ideas handpicked by me for you! For More Great Holiday Ideas Check These Out! Separate 10 Nutter Butter cookies. Nutter Butter cookie. Place the top of the cookie on top and place on the baking sheet. Repeat this step with all the cookies. Put the baking sheet in the fridge for 20 minutes. chocolate drip back into the bowl. Place the cookies on the baking sheet. 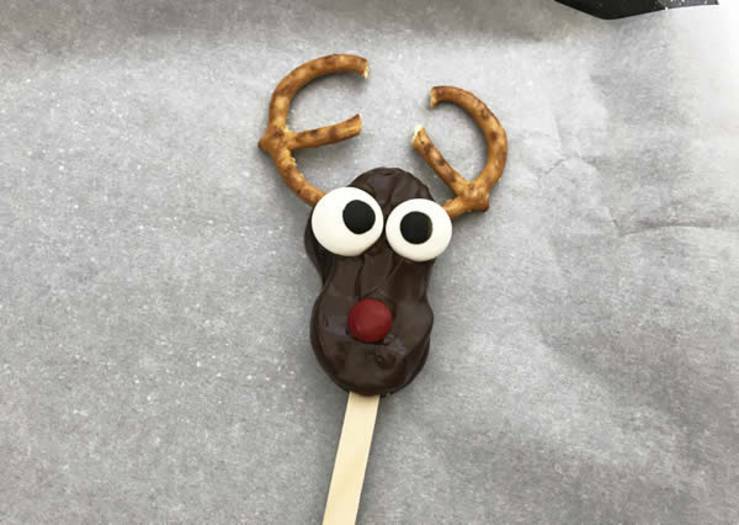 While the chocolate is still wet place 2 candy eyes, 1 red M & M candy and 2 pretzel antlers. Place in the fridge for 15 minutes to set. 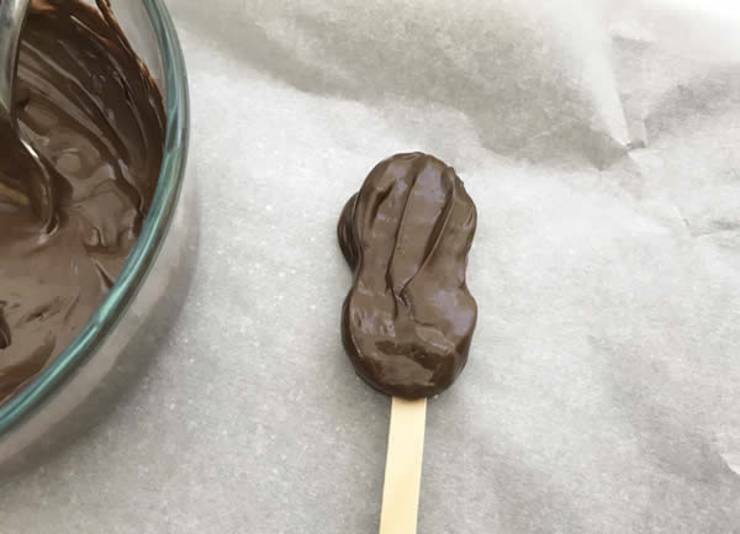 In a microwave safe dish pour in chocolate candy melts . Microwave on 30 second increments, stirring until melted. 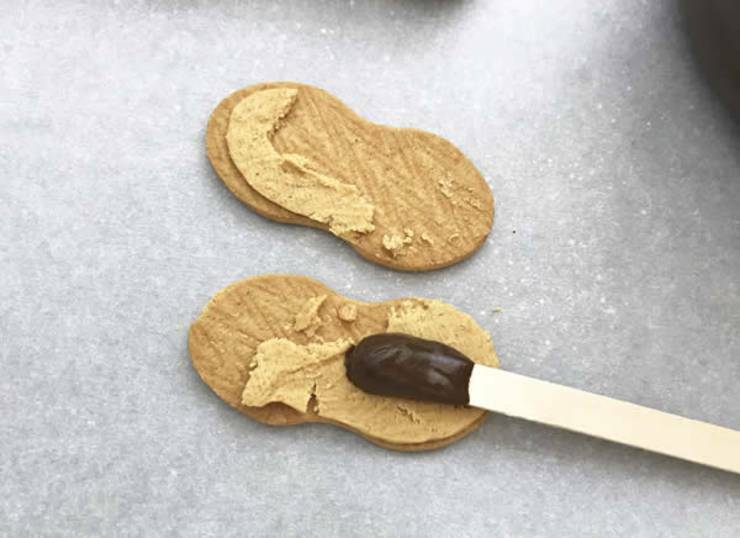 Dip the end of the Popsicle stick into the melted chocolate and place on an open Nutter Butter cookie. Place the top of the cookie on top and place on the baking sheet. 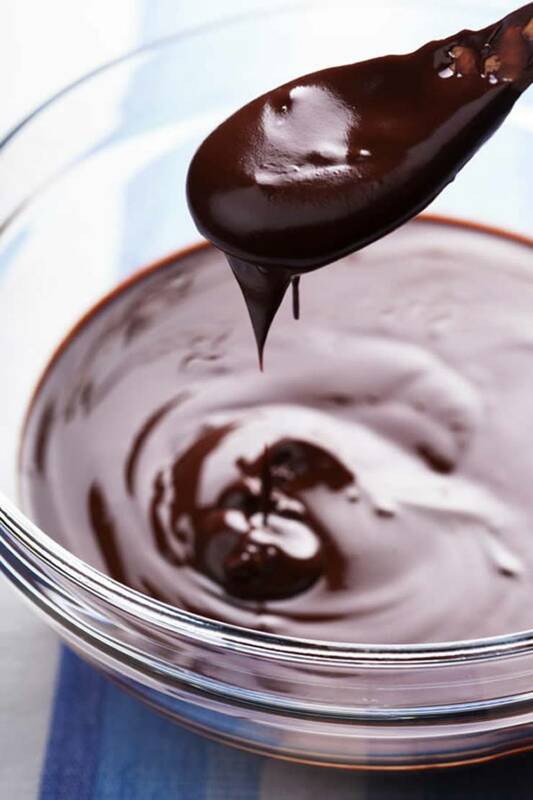 Remove the cookies from the fridge and dip them in the melted chocolate let the excess chocolate drip back into the bowl. 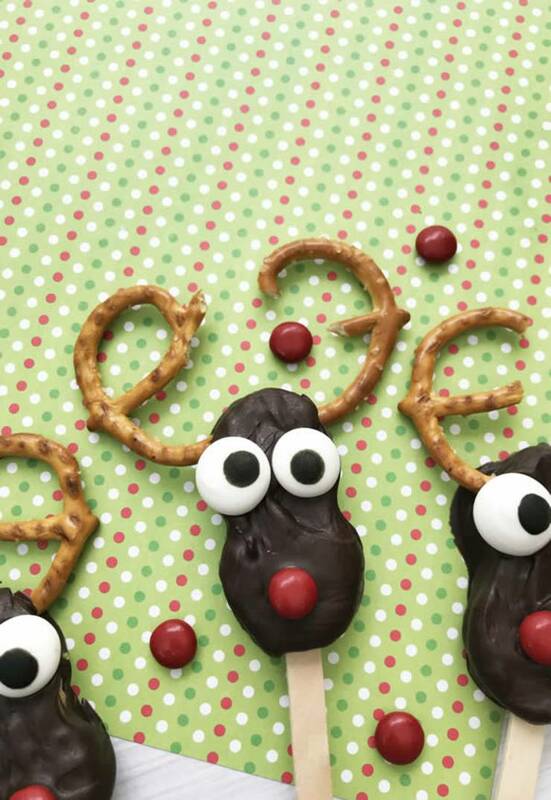 Are you ready to jingle all the way to the kitchen to make these fun reindeer cookies? Simple Christmas cookies that would make a fun way to get kids in the kitchen and help bake. Make these semi homemade Christmas cookies for a cookie exchange or cookie swap. Take them to work or make them for family and friends. You could also fill a mason jar with these (leave off stick) and they would make such a cute Holiday mason jar gift idea. gingerbread reindeer cookies, Christmas reindeer cookies, reindeer sugar cookies, easy reindeer cookies, reindeer cookies nutter butter,chocolate reindeer cookies, reindeer cookies in a jar, reindeer sugar cookies Pillsbury, Christmas cookies, reindeer treats, reindeer cookies in a jar, reindeer Christmas desserts. 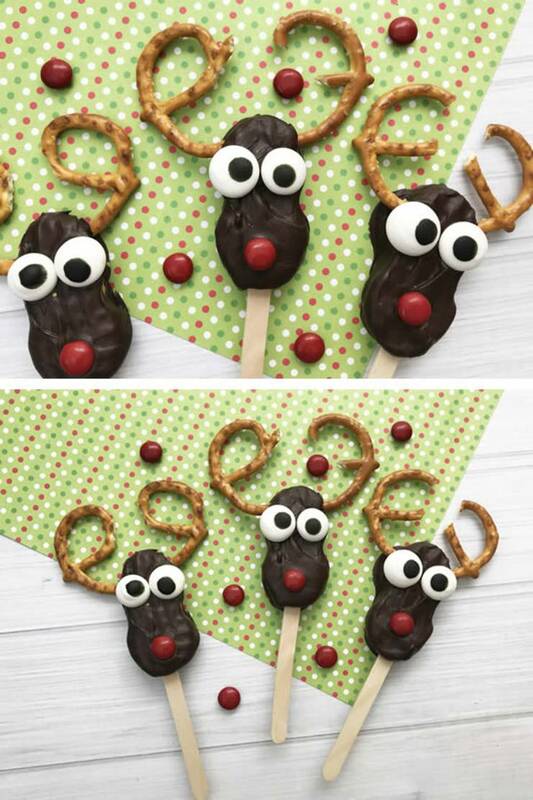 For more inspiration or ideas head over to Pinterest to find: reindeer cookies with pretzels, royal icing reindeer cookies, Oreo reindeer cookies, reindeer cookies cutter, Milano reindeer cookies, sweet treats reindeer cookies and more. I hope you enjoyed this Christmas cookies – Merry Christmas and Happy Baking!